During a Q&A section after Jeremy Corbyn’s media speech, an immigrant in the audience owned a Daily Mail journalist. 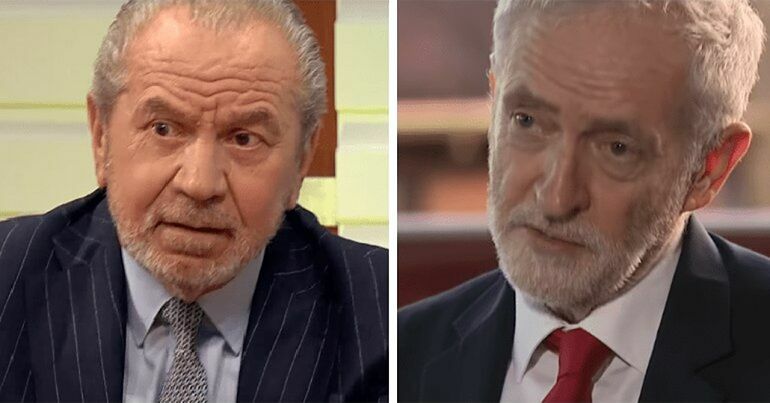 A cynic might say that your proposals to dismantle traditional newspapers… could be an act of retaliation over the way that they’ve shone a light on antisemitism within the Labour Party and more recently exposed your involvement in that wreath laying ceremony. What’s your response to that? First of all, as an immigrant, I want to say that the Daily Mail waxing anything about morality is ridiculous. 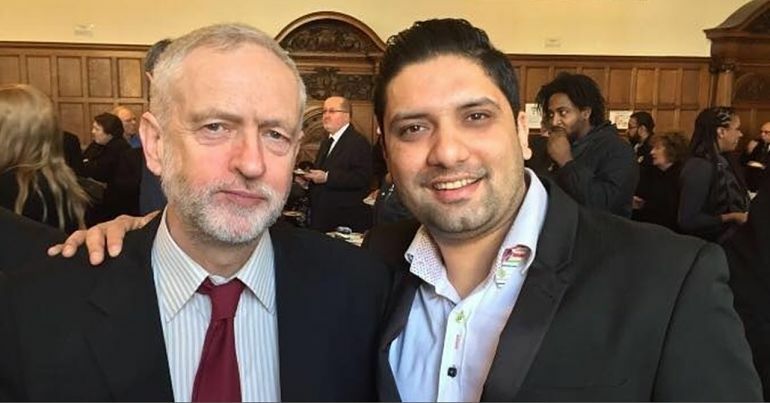 The Mail journalist claims the press “exposed” Corbyn over the Tunis Wreath row. The thing is, the media has been smearing Corbyn via association with terrorists who weren’t even buried at the cemetery he attended. Yet again, an establishment ‘story’ about the Labour leader collapses under rudimentary diligence. When somebody is accused in a newspaper the right of reply… has to be to the same proportion as the story that’s there in the first place. Three lines on page 27 after five days of front page doesn’t feel like a right of reply. 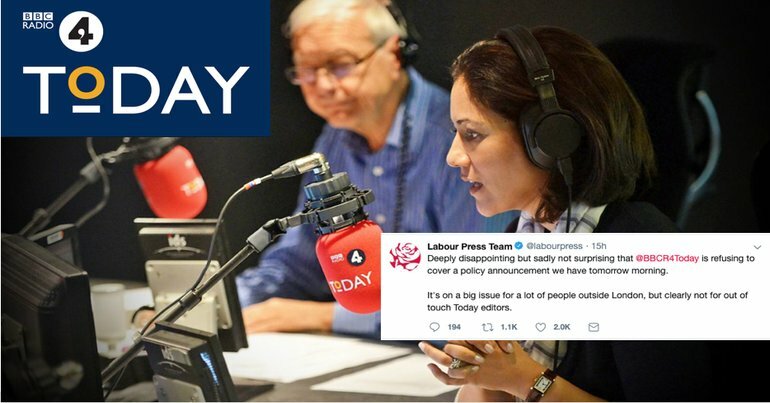 The Labour leader wants to democratise the UK media through establishing elected editors, distancing the BBC from the government appointee system, and introducing charitable status for independent, public-service media. We the media report the lack of diversity in other walks of life – but our own record is nothing like good enough. The Sutton Trust has revealed that just under 80% of top editors were educated at private or grammar schools. Compare that with the 88% of the British public now at comprehensives. a masters degree, a series of unpaid internships, and a place to stay in the London area, without any guarantee of it working out. Barriers to entry into this highly competitive industry largely on the basis of background rather than merit. It’s a central cause of our disconnect. A Corbyn-led Labour Party has already pledged [pdf p50] to ban unpaid internships, simply because “it’s not fair for some to get a leg up when others can’t afford to”. The Mail and co’s antisemitism smear campaign is merely a symptom of the wider structural problem in the UK media. Antisemitism does exist across British society. But the media has weaponised the serious issue to delegitimise Corbyn. If a handful of billionaires didn’t control much of the flow of information in this country, a man of peace would not receive such treatment. Kudos to the audience member for owning the Mail with its own hypocrisy at the Edinburgh Q&A. – Tweet and follow #ChangeTheMedia. The Canary Media Ltd, PO Box 3301, Bristol, BS5 5GD. Registered in England. Company registration number 09788095. Contact: [email protected]ecanary.co.